CHERISHED MOMENTS: SONGS OF THE JEWISH SPIRIT, a new CD on Sono Luminus (DSL-92182), was released on October 28, 2014 with Essential Voices USA, conducted by Judith Clurman with soloists Ron Raines, Bruce Ruben and Michael Slattery. 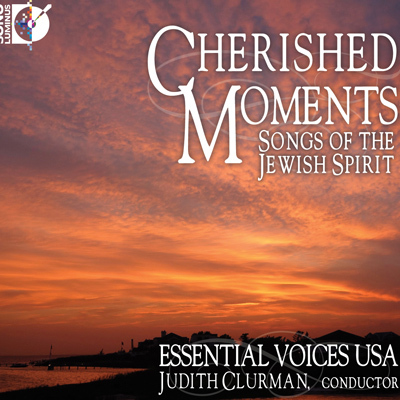 This new CD combines the expertise born of Judith Clurman’s thirty years as a prominent conductor with memories of her own childhood in synagogue and an intimate knowledge of this poignant repertoire to create the unique recording Cherished Moments: Songs of the Jewish Spirit. 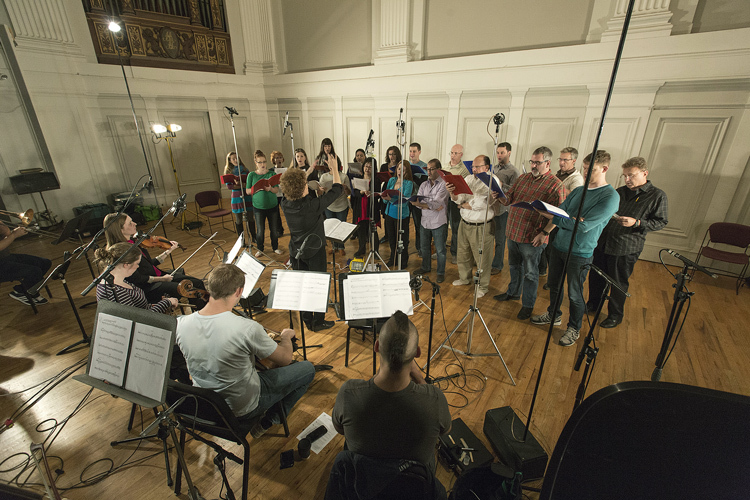 Judith Clurman conducting EVUSA. Photo © Richard Termine. Copyright © 2014 Judith Clurman. All Rights Reserved.